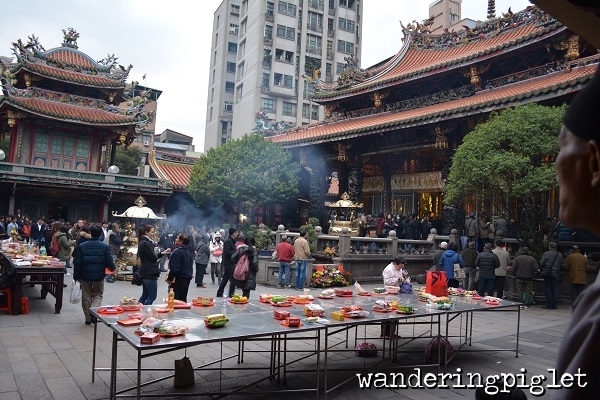 Mengjia Longshan Temple (Chinese: 艋舺龍山寺; Pe̍h-ōe-jī: Báng-kah Liông-san-sī) is a temple in Wanhua District, Taipei, Taiwan. 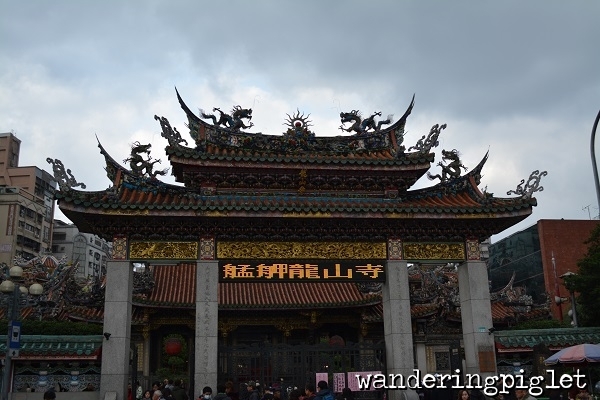 The temple was built in Taipei in 1738 by settlers from Fujian, China. 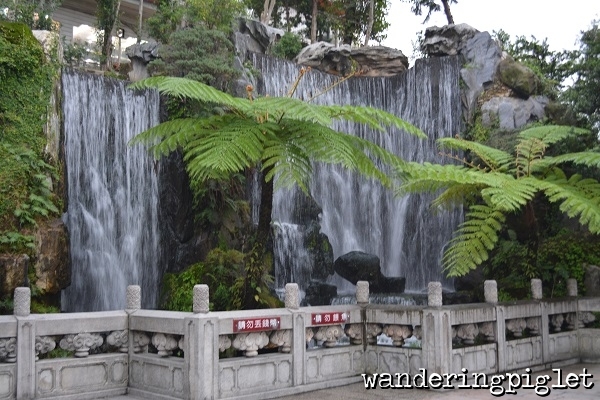 It served as a place of worship and a gathering place for the Chinese settlers. The temple has been destroyed either in full or in part on numerous earthquakes and fires. During World War II, on 31 May 1945 it was hit by American bombers during the Raid on Taipei, who claimed the Japanese were hiding armaments inside. The main building and the left corridor were damaged and many precious artifacts and artworks were lost in the ensuing fire. 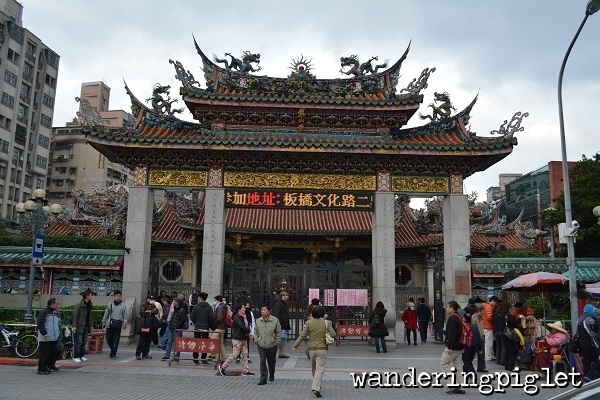 Taipei residents have nevertheless consistently re-built and renovated it, and did so again after the end of the Second World War a few months later. 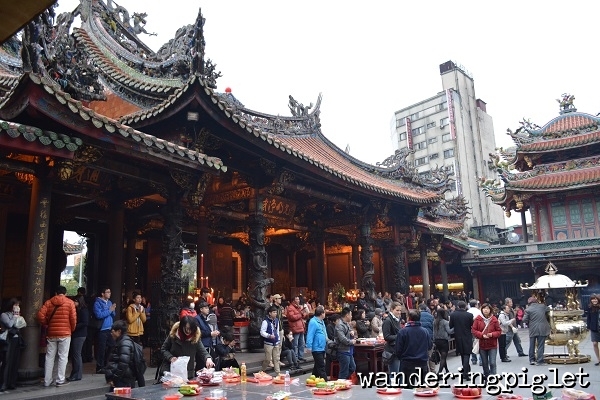 Longshan is seen as an emblematic example of Taiwanese classical architecture, with southern Chinese influences commonly seen in older buildings. This is such a lovely temple, with amazing ambience and feel to it. Everyone was praying and chanting, which was so calming and peaceful. I could have stayed there a very long time, and just had time pass me by. Greatly enjoyed my time here.